By the end of the 1920s, film technology had made significant advances. 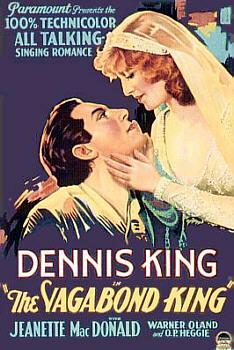 Sound film production was virtually universal in Hollywood and within a few years it would be adopted in Britain, France, Germany, and Russia. Warner Bros. and Paramount also included two-color Technicolor in many of their new sound features. But color production would wane by the end of 1932, perhaps because the films themselves were so poor and had relied on the novelty of color to save them. There was no turning back to silent films but color would see very limited use, primarily in cartoons and the occasional feature film or insert, until 1939 when Gone With The Wind displayed the newer 3 strip Technicolor to full advantage. 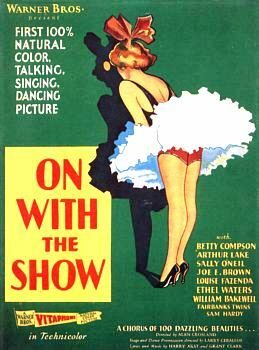 Like color, sound had been in development for decades before it burst upon audiences in the late 1920s. Narrative text and HTML Transcription of all documents Copyright ©2000 The American WideScreen Museum.